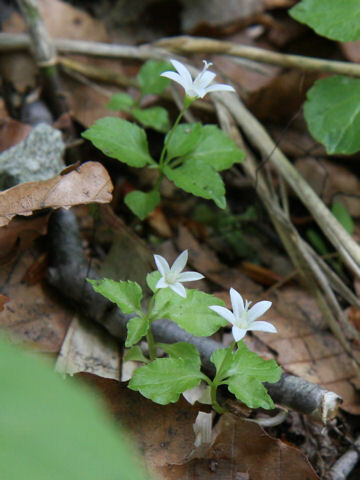 "Tani-gikyo" (Peracarpa carnosa var. 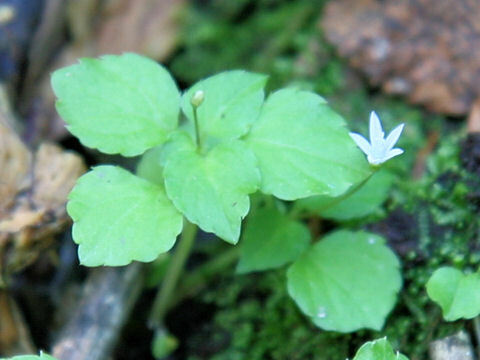 circaeoides) belongs to the Campanulaceae (the Bellflower family). 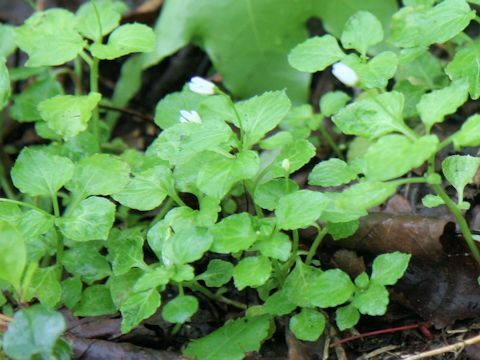 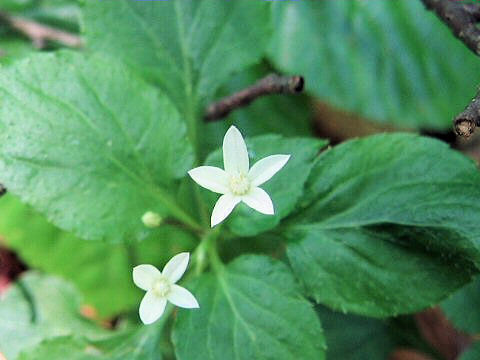 It is a perennial herb that is native to Japan, as well as the Korean Peninsula and northeastern China. 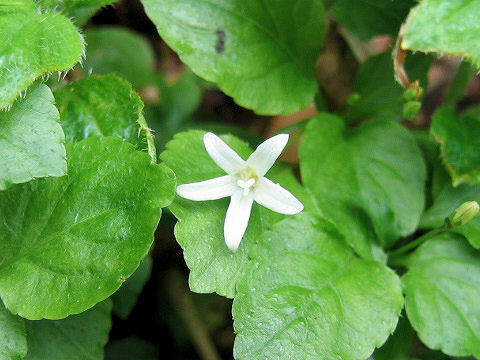 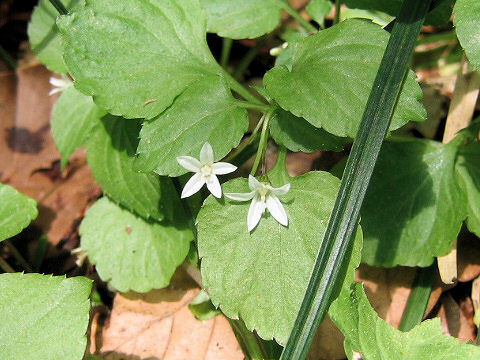 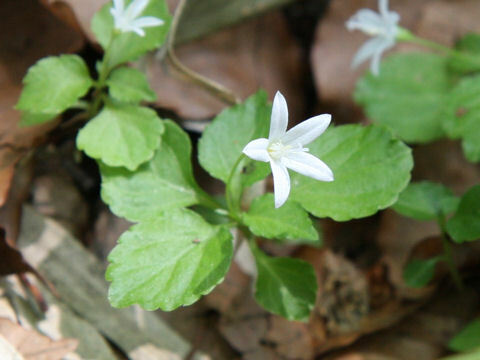 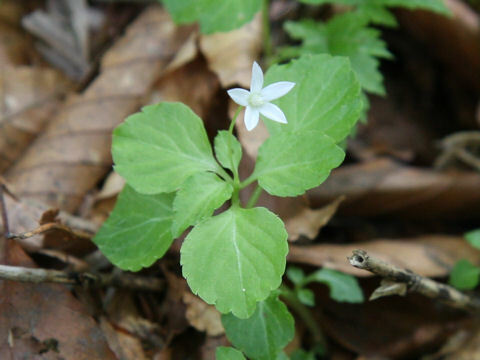 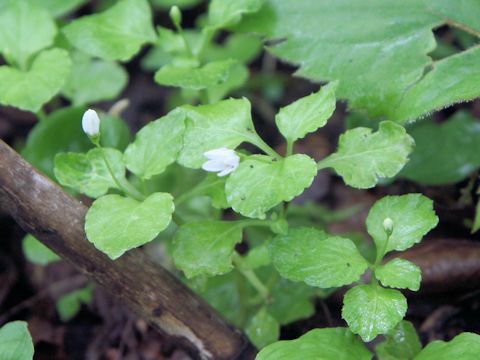 This herb grows in montane to subalpine forest-edges or dales, and can reach about 10 cm in height. 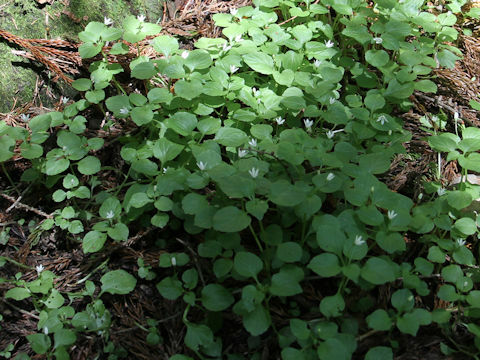 It spreads by elongated stems and forms clumps. 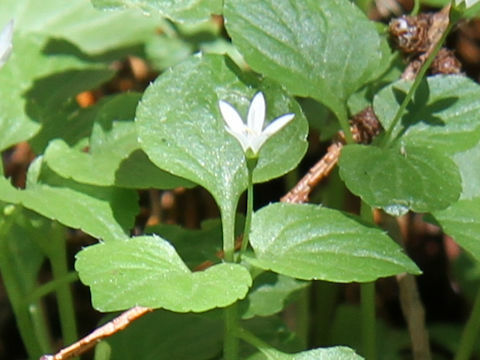 The leaves are ovate-round with sparse soft hairs. 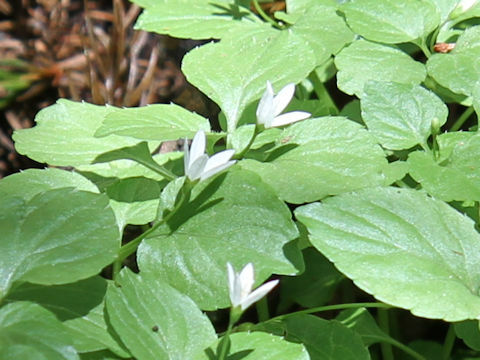 The white to pale purple flowers come in May through August.